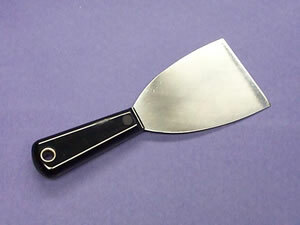 Putty knives are useful for many different applications. While making counters, they are commonly used to scrape off the excess epoxy before it has fully hardened. They are also used when milling counters to pry the counterboard off the press.